As you know, the university informed us that for the new West Garage, you will have to pay higher ‘interim parking rates’ until bargaining ends of either 1) the new West Garage rates announced on July 27 or 2) $15/day. This campaign continues with outreach during the first two weeks of the semester, leading up to our action at the Convocation on September 20 at 9:30 in the Ballroom. Please pitch in and help us with the outreach to students, faculty, and staff. We have scheduled leafleting of students and cars during the first two days of schools (Tuesday 9/4 and Wed. 9/5). We are organizing tables & clipboard shifts the following two Tuesdays and Wednesdays (9/11, 9/12, 9/18 and 9/19) to continue having conversations with students, staff, and faculty to get them to sign the petition, attend Convocation, and join the organizing effort. Sign up to help here. We will follow up to make sure you have the materials and information they need to feel good about doing this organizing. 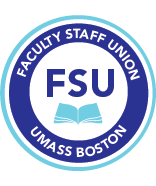 FSU meeting on parking and parking bargaining: Thursday September 13. 1 pm. Location will be announced. Protest at Convocation on Thursday, September 20 at 9:30 in the Ballroom. If you would like to help with this action, please come to the Save UMB meeting on September 11 at noon in the Labor Resource Center (W-4-151). Testify about how parking rate increases will impact you. We will be bargaining with the Administration over the Fall 18 semester on parking and we would like to have members tell their stories at these sessions to show the Administration how damaging their proposals will be. Please contact the FSU at fsu@umb.edu for further information.